Before you bolt from the bold suggestion, understand that wearing yellow can actually be fun and flattering. From pastel, amber, neon, mustard, marigold, canary, and “Sunny D,” there is definitely a shade of yellow suited for you. The trick is in knowing your skin tone and what compliments it best. Rejoice! The sun is shining bright, the air is clean and crisp, and now, our wardrobes should be too. This white-from-head-to-toe look took runways by storm at New York Fashion week, and we’re following suit. Personally partial to the totally black, sleek and slimming ensembles we’ve seen in season’s past, I am excited to flip the script and step way outside of my comfort zone to participate in this white-out movement. Eye-catching and completely confident, it takes a gutsy gal to rock an all-white get-up. This season, we applaud her. A cousin of plaid but more befitting of springtime, this picnic table print has found its way into our spring wardrobes and we love the fresh, fun feeling it adds. Appearing in a multitude of fabrics and silhouettes, you can incorporate this gingham trend into just about any ensemble for almost any occasion. Beauty and makeup is, perhaps, my most favorite conversation topic…ever. 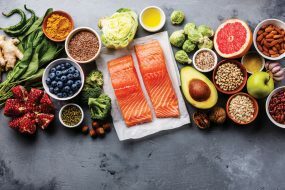 Everyone wants to look their best, and I believe that understanding how to best enhance your natural features is one of the keys to achieving that. This spring, I am so excited about some new beauty trends that are absolutely doable and will be lovely on anyone! 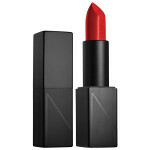 Nars Audacious Lipstick – This line of lipsticks is, hands down, the closest to perfection that I have ever found. Complete with 30 different colors for any and every occasion, the non-drying, long-lasting, and super-highly-pigmented formula will have you wanting every single one. Try “Annabella” to start. Described as a “poppy red,” this magnificent shade looks fabulous on any skin tone. 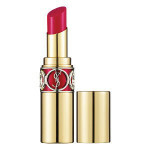 Yves Saint Laurent Rouge Volupte Shine Lipstick – Lightweight and luscious, this lipstick should have a place in any woman’s collection. With vivid colors, hydrating texture, and glossy shine, this line is perfect for spring in every way. 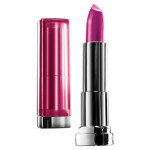 “Color 5” is my current fascination; a fun, fuchsia flush I can’t seem to put down. 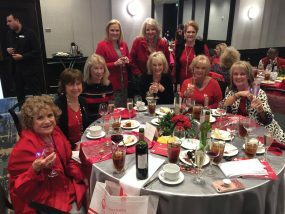 Maybelline Color Sensational Rebel Bloom – I have come to expect to be delighted each time I try a new Maybelline lipstick, and their winning streak with me continues this season with the new Color Sensational Rebel Bloom collection. If you want beauty on the budget, make a B-line for the Maybelline at your local drug store because these lippies are a brilliant buy! My personal favorite for this season is “Orchid Ecstasy” for a fun and fearless purple. Perricone MD No Foundation Foundation Serum-Formulated for more oily skin types, this product acts as a skin-treatment while providing very natural looking coverage as well. Gorgeous! Perricone MD No Foundation Foundation-The Serum’s sister, this is the formulation for more dry skin types. This performs equally as well as the other formulation and is also a combination of skin-treatment and luminous coverage. 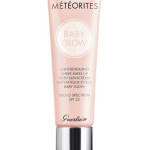 Guerlain Meteorites Baby Glow-Okay, this new product has my heart and I truly believe that you will love it, too. Infused with magic (or something), your complexion will look refreshed, luminous, and “smooth as a baby’s skin.” Highly recommend! 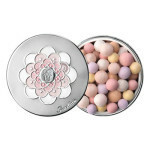 Guerlain Meteorites Powder for the Face-Designed to minimize flaws and bring brightness to the skin, this illuminating powder made of light-diffusing pearls proves positively brilliant. Use this to set your foundation, and you can thank me later.